Bienvenue à Phoenix West II # 1910! Faites comme chez vous dans ce magnifique 3 chambres, 4 salle de bains unité Golfe-avant dans le plus récent développement le long de la côte du Golfe Alabama. Cette famille condo amicale a même une table de bébé et des plats pour aider vos petits enfants se sentent comme à la maison. La suite principale dispose d'un lit King et salle de bain privée, y compris une baignoire jacuzzi avec une grande douche de plain-pied avec deux pommeaux de douche. La deuxième chambre dispose d'un lit King et salle de bain privée. La troisième chambre dispose de deux lits jumeaux-sur-complets superposés avec un lit gigogne gigogne et une salle de bain privée. La propriété a un accès internet sans fil, d'une cuisine entièrement équipée comprenant un Kuerig. Cette unité est entièrement équipée pour être votre maison loin de la maison, y compris une laveuse et sécheuse. Phoenix West II condo offre une vue Golfe-avant spectaculaires et des équipements fabuleux. Sentez-vous libre pour se détendre dans les eaux miroitantes du golfe avant la rivière tandis que les petits profiter de la glissade d'eau sinueux. Transpirer stress dans la salle d'exercice à pleine charge, avec un sauna, et ensuite vous rafraîchir dans la grande piscine intérieure. Phoenix West II dispose d'un parking couvert et permettra invité d'acheter jusqu'à deux passes de stationnement par unité. Les installations comprennent également un parking couvert, piscine extérieure chauffée, pataugeoire extérieure et des courts de tennis. Had a great time in Orange Beach in this condo. Very clean and roomy with my kids and grandkids. Would definitely go back. Unit was great! Everything you needed for cooking was there. The balcony was very nice. As others have said, trying to catch an elevator during busy times could take upwards of 20 minutes. Also, parking is sometimes a chore. Our kids loved the pools and lazy river. The condo rules about where you can set up your umbrellas and tents made us trek a little farther east than we wanted, but not enough downsides to deter us from returning next year. Overall a great area and unit. My stay here was nothing short of incredible! Everything is very tidy. Very comfortable. SO SPACIOUS. There was more than enough room for all of us. We had 5 kids in the kids room and could have comfortably fit several more. I can RELAX here and not worry about every little thing my children are touching, which is a valuable difference from most vacation spots. Amenities are GREAT. Pool, Lazy River, Water Slide, Hot Tubs, Beach access were all maintained to a professional standard. We spent memorial day weekend here and despite the holiday, we never had trouble finding parking in the deck which was a pleasant surprise. The location is great - I feel that Orange Beach is more relaxing yet still only a 5 minute drive away from a "wilder" atmosphere down in Gulf Shores if you're looking for a great mix of both while on vacation. Lots of things to do with the kids in the area, Gulf Shores Zoo, "Dolphin FUN Cruises" (w/ Captain Dean), LuLu's Restaurant in Gulf Shores is a treat for the kids AND fun for the adults, and so much more. Thank you for leaving us a review on your recent stay. We are so glad to hear that you enjoyed your stay! It sounds like you and your family had a great time making some family memories while you were here at the beach. We look forward to helping you book your next trip to the beach. Beautiful spacious condo with a gorgeous view! The pictures simply do not do this condo justice. It is absolutely gorgeous!! It is fully stocked with everything you could need! I especially liked how the owners thought of families in decorating and stocking the condo right down to toddler plates and utensils. The layout of the condo was very nice and the two masters allowed us to travel with another family comfortably and without feeling on top of each other. We definitely plan to go back! Thank you for taking the time to leave a review. We are so glad to hear that you had a great stay and took advantage of all the extra things this condo has to offer. It sounds like you found your home away from home at the beach! We look forward to helping you book your next trip to the beach! Thank you for your review. We are so glad to hear that you had a great stay! This unit is top notch and we appreciate you noticing all the details that makes for a great vacation! 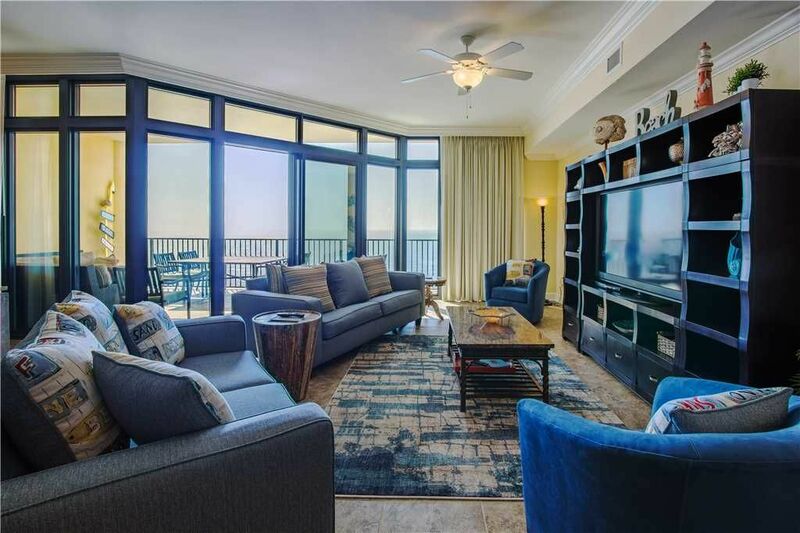 We look forward to helping you book this condo again for your next trip to the beach. Everything You'd Want It To Be! We had a Great time in this unit! Plenty of tile for my grandson to use his walker. Plenty of room to make yourself at home. Actually slept outside on the spacious patio furniture till 3am. Bedrooms and bathrooms were clean and spacious. Kitchen was well stocked and separate ice maker made plenty of ice for our "adult beverages"! Hi Simon! We are delighted you enjoyed your stay at Phoenix West II 1910! One of my favorite things to do at the beach is sleep on the balcony and listen to the waves! So glad you got to take advantage of that while staying with us! We look forward to helping you book your next trip to the beach! Thank you, Guest Services Team at Liquid Life Vacation Rentals. Phoenix West est situé à environ 5 4. ouest de l'autoroute 59 à Orange Beach, en Alabama.